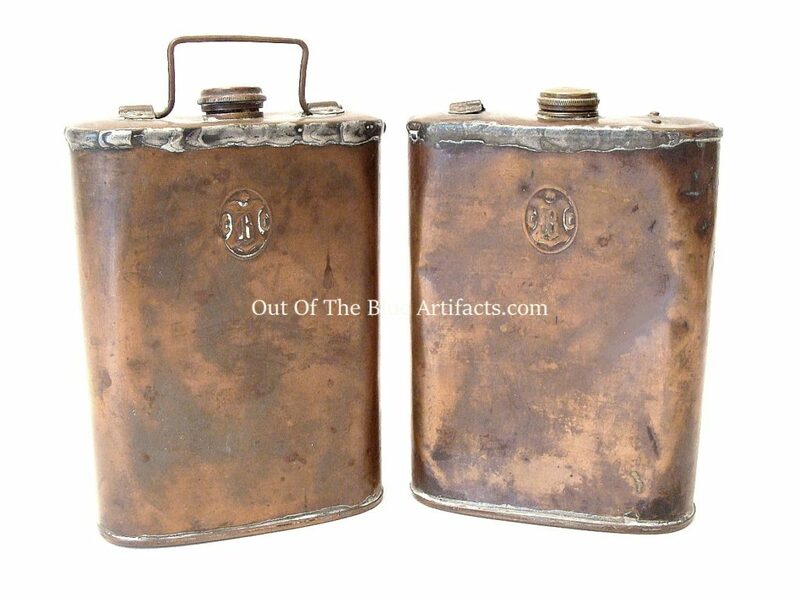 Two Copper Oil Flasks. 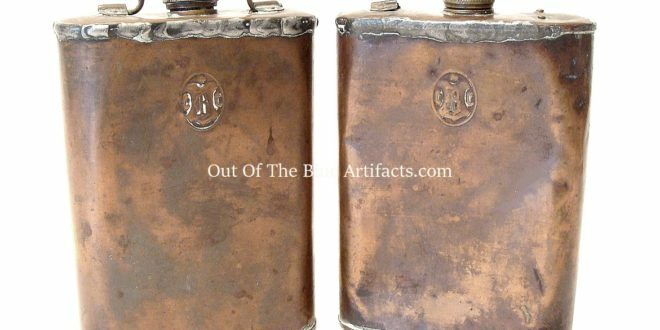 Embossed onto the front in a small cartouche are the initials B.C.Co. more than probably from the Bolsover Colliery Company. Size 7″ x 5″ inches.